Hipstamatic — the photo app maker that fired the first shot of the lo-fi instant camera phone revolution, only to have its territory ransacked by Instagram — is dipping its lens into the social photo realm with DSPO [pronounced Dis-po], a brand new collaborative photo app, launching today. DSPO is a descendent of the long-gone Hipstamatic D Series, which launched to great fanfare in 2011 only to crash and burn seven months later under the weight of a bad business plan. 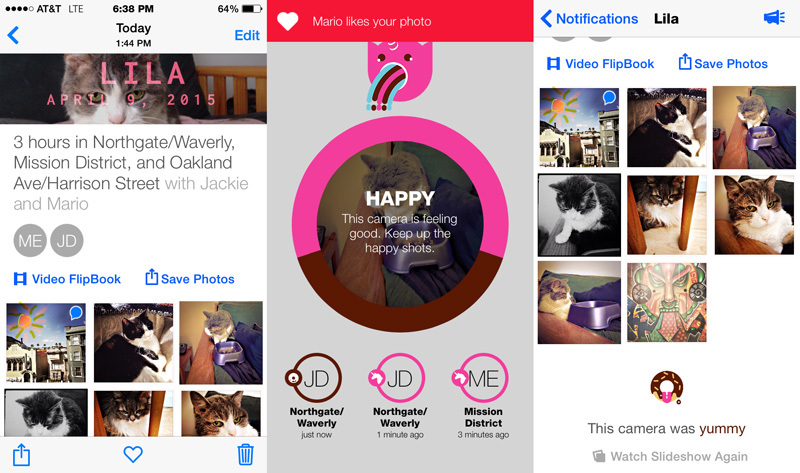 At least that’s the way Hipstamatic founder and CEO, Lucas Allen Buick tells it in a blog post introducing the new app. DSPO’s backstory differs from the D Series, but the variation is ironic. 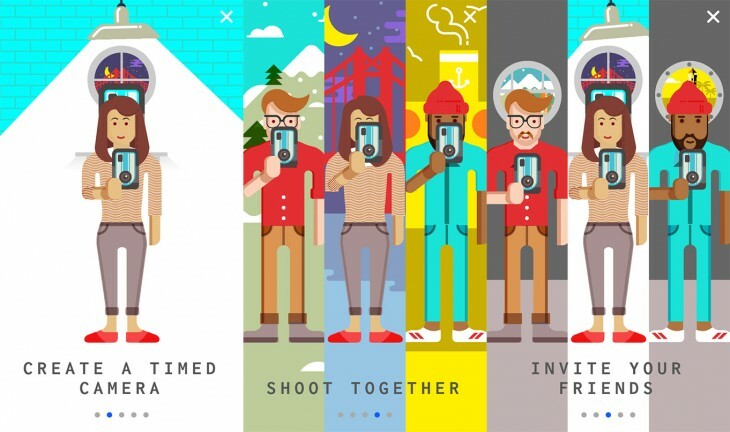 “We were contacted by Facebook back in February to be part of their new Messenger Platform announcement, and we decided the time was right to resurrect the old idea of the Disposable Camera,” Mario Estrada, Hipstamatic’s director of fun, told TNW. I also took a sneak peek at the app’s pre-release version. If you’re familiar with the company’s vintage style cameras, it’s got that familiar look, something like the Hipstamatic cam itself, or the newer, more community-oriented Oggl. 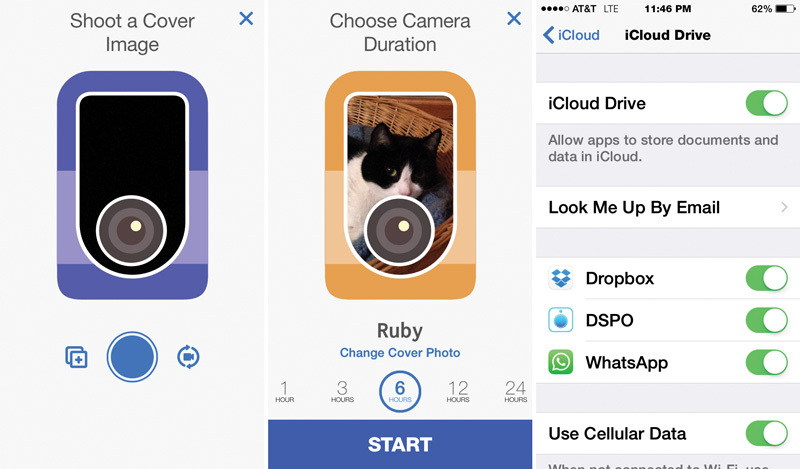 When you fire up the app, it wants you to shoot a cover image and name your camera. It would not proceed however, until I enabled iCloud drive. 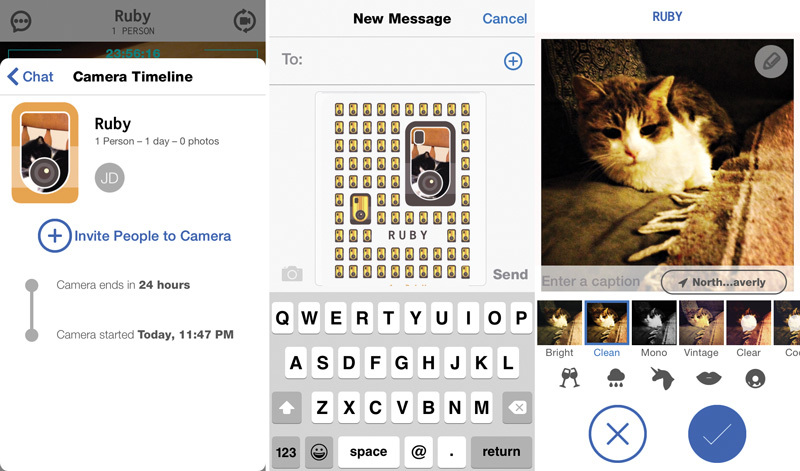 The app wants your contact information and location as well so friends can find you and invite you to share a camera. Sharing a camera involves creating a camera with a timer of between one hour and 365 days. You can also publish a link on Twitter to initiate a group camera. Hipstamatic envisions DSPO as a companion for concert-goers, wedding guests, and other events where you can just chat and shoot. Here’s where things get a little — shall we say — out of the ordinary. 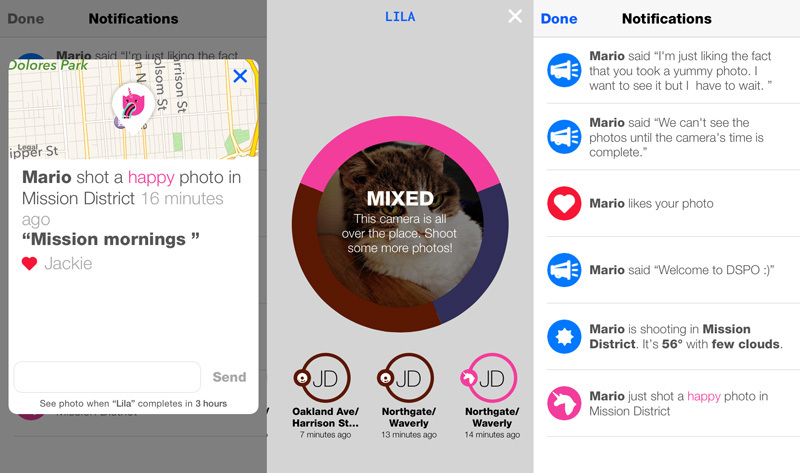 The text you communicate is in real time so you can have a conversation as you walk around town snapping photos — or take pictures of your cat in the living room. But your companions do not get to see those images until after the camera timer expires, at which point you’ll get an alert that your images are ready — disposable camera style. “There is a certain magic that happens when you can’t see the photo right away … This feeling of wanting to know more led us to build a messaging feature. It allows everyone on a camera to communicate about anything and everything,” says Buick. That doesn’t mean your images are not referenced in the chat. You can shoot anytime you want, and as many photos as you want, within the time frame. When you shoot your image, you can dress it up with a variety of filters such as Bright, Clean, Mono, Vintage, Clear, and write a caption. Little icons underneath the filters depict emotions like happy or sad, merry or yummy. You can “like” the concept that a photo is “yummy” but there is a delayed gratification. When the time is up, you get a full record of the conversation and can elect to save all the images in your Camera Roll. Whether your conversation is mundane or inspiring, you will always have an illustrated memory of it complete with real-time emotion. And, you can share that memory to Facebook or Twitter or send it via email or text. Will DSPO be a smash it? If the past is any indication — and we have recent examples of Oggl and Tintype to go by — there will be a strong sector of the visual community that will instantly take to Hipstagram’s signature arty, quirky style. Hipstamatic is free for the iPhone. 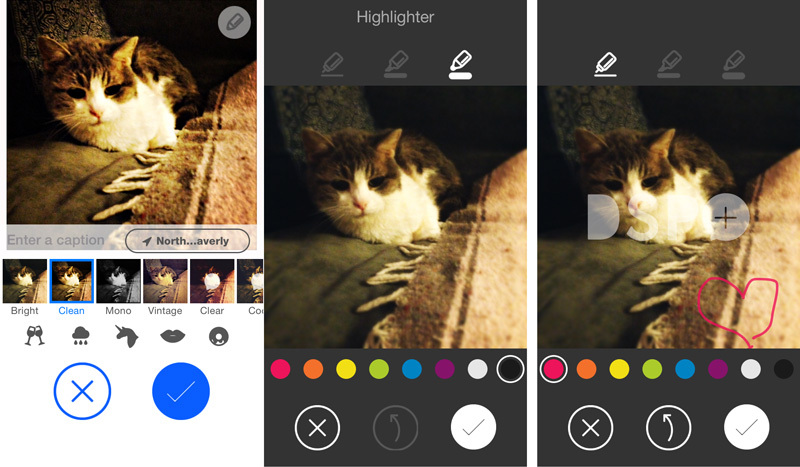 If you’re interested in paying an in-app fee, you can get more in the way of filters or even scribble on your picture with a colored pen, marker or highlighter.